We begin the design-build process, initially focusing on design, by meeting at your property. We first examine the architecture of your home, including important view and access points to the garden spaces. Undesirable views to neighboring properties will also be examined/noted. We will discuss the landscape improvements you wish to undertake and consider your personal style, along with the home’s architectural features. We can review any images you have gathered on your iPad from online sources, such as Houzz, or even your stack of dog-eared design magazines. We design to fit your budget. Typically, we begin developing a Landscape Master Plan for your entire outdoor space. There is no charge for the initial consultation. We can include such elements as swimming pools, water features, fire features, pergola and other structures and outdoor furniture selection. A Design Contract is produced and the end product is the creation of the Landscape Master Plan. The master plan incorporates your list of the desired landscape improvements within your budget. The design process is completed in two steps. A preliminary design will first be presented to you at the GardenWise studio; itemized cost estimates, plant photographs and design development details will be presented, and you will then have the opportunity to review and suggest changes (at your leisure) to the Master Plan which will be incorporated into the Final Design. 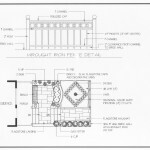 A Landscape Plan can be installed at once or in phases. The typical design fee starts at $2000 (price varies dependent upon the size and complexity of the project). The fee will be determined at the Phase One site meeting. 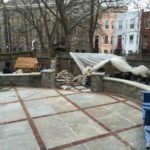 At the end of the Master Plan process, a Landscape Installation Proposal will be developed based on your project scope and budget requirements. 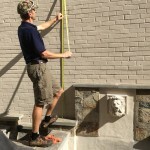 GardenWise’ skilled installation team – including masons, carpenters, metal craftsman, lighting experts, landscape crew and irrigation technicians – will provide complete turnkey installation services, providing professional and personal installation coordination and management. *All new plantings are warranted for six months, carpentry for one year and masonry for five years.